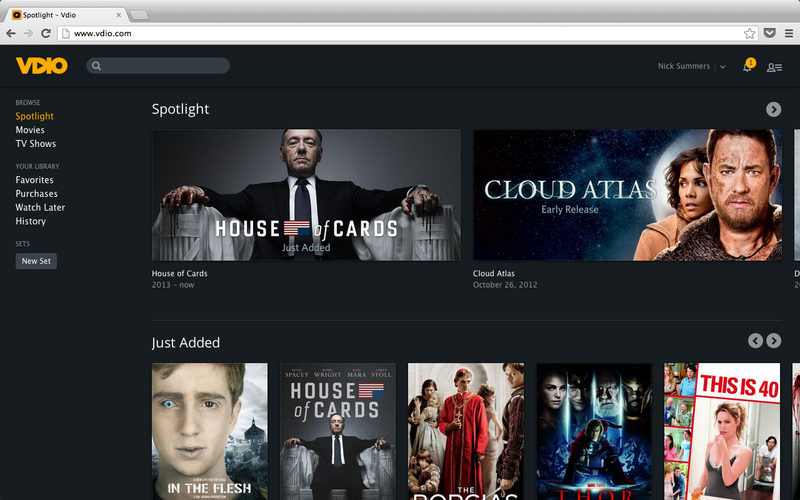 Rdio surprised almost everyone last month when it launched Vdio, a new service for buying or renting digital copies of movies and TV shows. The company announced today that Vdio can now be accessed by anyone in the United States and the United Kingdom, ditching the requirement that forced every new user be a premium Rdio subscriber. New users can sign-up using their Facebook account or a separate e-mail address, before perusing Vdio’s pretty diverse library of content. Unlike Netflix and Amazon Instant Video, there’s no monthly subscription to worry about. Movies and TV shows are priced on an individual basis, so there’s no ‘unlimited’ package or recurring bill to worry about. Prices vary depending on the release – buying a film outright can be as high as £9.99 (roughly $15 USD), while renting can fall anywhere between £2.89 ($4.50 USD) and £4.49 ($7 USD). Most movies and TV shows can be rented, although a quick glance shows that there’s a number of titles that can only be purchased from Vdio. These are then downloaded and dumped into the user’s library, accessible from the left-hand side of the screen, for the user to keep and watch whenever they please. The setup is similar to iTunes, although in this case the service is entirely browser-based, rather being tied to a native app. 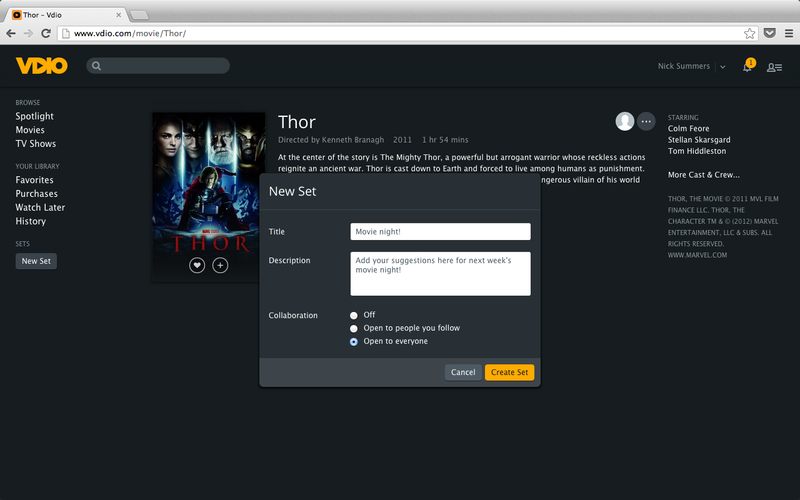 Movies and TV shows can also be added to a custom list, which Vdio calls Sets, for keeping track of favorites or titles that the user wants to watch next. Similar to collaborative playlists on Rdio and Spotify, users can also open up these lists so that anyone can add to them with their own suggestions. It’s a useful tool if you’re using a single account as part of a large family, or want some new suggestions for those who are up on all of the latest releases. Collaborative lists can be limited to people that the user follows, or opened up to the wider public for some collaborative mayhem. Although there’s an iPad app, Vdio doesn’t have anything like the same platform penetration of streaming services such as Netflix or Amazon Instant Video. That could change over time, but it means that for now Vdio is relying on its social features as its main differentiator. There’s no word on yet on when Vdio will be opened up to other markets, but it can’t come soon enough. The revamped Apple TV rumors continue to circulate and this is a key period for Rdio to gain a significant foothold and presence in the market.